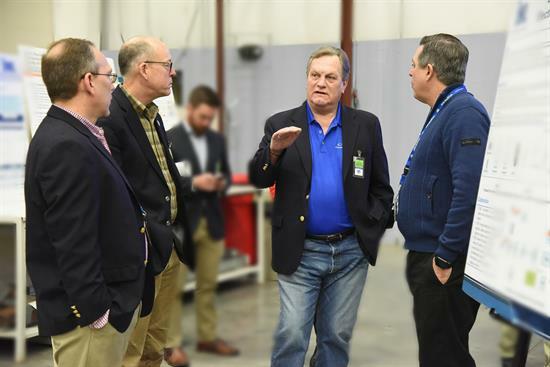 Washington, DC – Idaho Congressman Mike Simpson announced that the Fiscal Year 2019 Energy and Water Development Appropriations bill protects funding for the Idaho National Laboratory (INL), the Department of Energy’s Office of Nuclear Energy, and cleanup activities in Idaho. Simpson is Chairman of the House Appropriations Subcommittee on Energy and Water Development, which passed the bill through the full House Appropriations Committee this week, and had the lead role in deciding funding for all Department of Energy programs. · The Idaho Facilities Management account, which covers infrastructure maintenance and improvement at INL, is funded at $322 million – a $28 million increase over last year. · INL’s Safeguards and Security Program is funded at $146 million – an increase of $13 million over fiscal year 2018. · The Nuclear Energy Enabling Technologies program is funded at $164.3 million – an increase of $5.3 million above fiscal year 2018. · The Light Water Reactor Sustainability program, which is managed by INL and promotes the continued safe operation of America’s existing nuclear reactors, is funded at $50 million, the same as last year. · The Reactor Concepts Research, Development, and Demonstration account is funded at $370 million – an increase of $133 million above last year. Within the overall level for this account, $34 million is allocated to fuel qualification for the High Temperature Gas Reactor, and $100 million is for Advanced Small Modular Reactor Research and Development to support technical, first-of-its-kind engineering and design and regulatory development of next generation light water and non-light water reactor technologies. · Within the Fuel Cycle Research and Development program, the Advanced Fuels program is funded at $128.5 million; and Used Nuclear Fuel Disposition research and development is funded at $62.5 million. · Within the Office of Naval Reactors, the bill includes $85.5 million for the operation of the Advanced Test Reactor. · Within the Office of Energy Efficiency and Renewable Energy, $25 million is included for energy efficient mobility systems and over $27 million for the Lab’s bioenergy program, and $9 million for the integrated energy systems. The bill also provides $420 million for cleanup activities associated with the Idaho Cleanup Project and the Advanced Mixed Waste Treatment Project co-located on the Idaho desert with INL. The funding level will allow the significant cleanup activities currently underway to continue. The bill also includes an additional $5 million for the National Spent Fuel Program, putting the unique expertise of INL to work in order to provide solutions for managing the Department of Energy’s inventories of spent nuclear fuel. The bill also contains funding to support the continued adjudication of the Yucca Mountain license application, ensuring the federal government will meet its commitments to Idaho and other states and dispose of used nuclear fuel. Overall, the Energy and Water Development Appropriations bill provides $44.7 billion for the functions of the Department of Energy, the Army Corps of Engineers, the Bureau of Reclamation and a number of independent agencies, including direction for the Nuclear Regulatory Commission and the Bonneville Power Administration. The House Appropriations Committee also passed the fiscal year 2019 Agriculture Appropriations bill. The legislation includes important priorities to Idaho such as vital research and support for farmers and ranchers. Similar to previous years, Congressman Simpson authored language in the Agriculture Appropriations bill that blocks the proposed closure of the U.S. Sheep Experimental Station in Dubois, Idaho. Also included in the Agriculture Appropriations bill are other important Idaho priorities such as potato and wheat research funding, support for pest eradication programs, and language directing the FDA to develop a standard identity for dairy based on existing standards, which is similar to Congressman Simpson’s bipartisan DAIRY Pride Act. The Committee also unanimously adopted a bipartisan amendment from Congressman Simpson that would roll back a rule from the Obama Administration which created a barrier for potatoes to be served in the school breakfast program. The two bills are expected to be considered on the floor of the House of Representatives in the coming weeks.